In PUNKCAST#1190 we saw a public meeting, subsequent to the closing of Tonic, where the NYC avant-jazz community committed themselves to working to create themselves a new home and, in fact, a whole organization to pursue the interests of grassroots creativity in the city. That organization has now taken shape as 'Rise Up Creative Music and Arts' aka RUCMA. 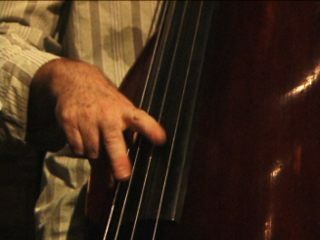 Just about its first activity has to been to gather musicians from the post-Tonic diaspora for a series of concerts in the Living Theatre's space on the Lower East Side. 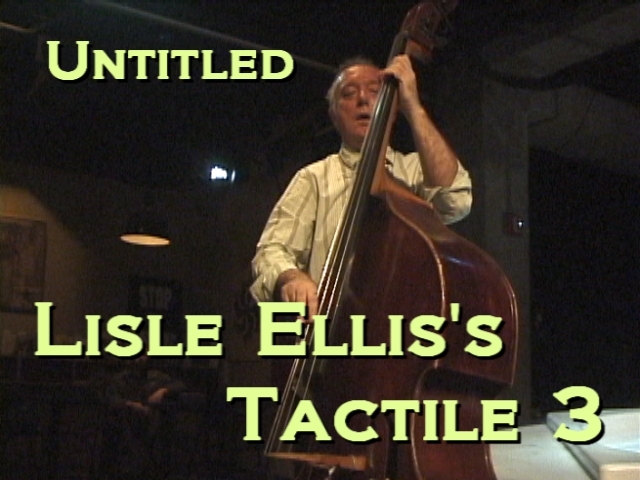 For the inaugural event Lisle Ellis, a veteran improvising bassist, originally from Canada, brought in his new trio. So new, in fact, they hadn't even played together before. Ned Rothenberg, on alto sax, is a well-known musician who I was pleased to discover is, like many of the younger Brooklyn artrockers, an Oberlin alumnus. Gustavo Aguilar, on percussion, is a recent transplant from Texas. They played several 'Inventions' - purely improvised pieces, one cover, and the two clips I give you here which are from the heart of the set. 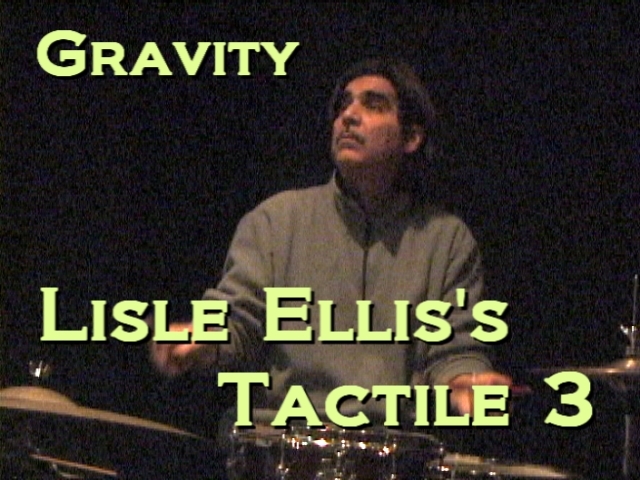 The first 'Untitled' being an Ellis composition, and the latter 'Gravity' is from Aguilar. Clicking on the images will take you to the clips on YouTube. The h.264's are iPod ready. There is a DVD. Lisle Ellis's new CD "Sucker Punch Requiem: An homage to Jean-Michel Basquiat" will be released via Henceforth Records henceforth.